A Chapter is a group of students from a university, college, technical or technological school who assemble to organize activities related to the fields of mineral extraction, metallurgy and materials science. $200 Start-up Cheque – Upon approval of the MetSoc-CIM Board of Directors, the Student Chapter Charter will be issued and a start-up allowance cheque in the amount of $200 Cdn will be forwarded to the Chapter’s faculty advisor. This start-up allowance does not apply to those institutions where MetSoc-CIM Chapters existed prior to the formation of the Student Chapter. Free CIM Membership for your Faculty Advisor – To recognize the significant contributions made by educators, the faculty advisors of MetSoc-CIM Student Chapters will receive an honorarium of free CIM dues, provided that the Chapter’s annual report have been submitted by the June 1st deadline. Distinguished Lecturer Program – CIM Distinguished Lecturers are chosen on the basis of their accomplishments in scientific, technical, management or educational activities related to the minerals industry. Chapters can take advantage of this program and organize a lecturer at your school. CIM will cover the expense of air travel and MetSoc can help the Chapter with other costs. Request your Distinguished Lecturer today ! Field Trip Subsidy – MetSoc will allocate a yearly sum of $25.00 (Canadian) per CIM student member who attends a pre-designated field trip (to a maximum of $800 per institution per year). In order to receive the funding, the Student Chapter faculty advisor must provide a list of participants along with a summary report of the field trip to the administrator at the CIM National Office. Funding is limited; first-come-first-served; only one cheque is issued per year per school. Chapter Membership: A Student Chapter waiting for approval from the CIM Board of Directors must consist of at least 10 Student Chapter members who have completed their application and whose applications have been submitted to CIM by their faculty advisor. Faculty Advisor: Each Chapter must elect a faculty advisor who is a member of CIM. Approval from your Institution: A new Student Chapter must have the written approval of the institution at which it is located. The list of 10 Student Chapter members and the written approval from the institution should be sent to the administrator of the Metallurgy and Materials Society of CIM, at the CIM National Office. By-laws and Petition: A set of by-laws should be drawn up and submitted to the administrator of the Metallurgy and Materials Society of CIM. See Chapter manual for guidelines. The aforementioned documents will be presented to the MetSoc-CIM Boards of Directors for approval. Your faculty advisor will be officially informed of the actions of the Board. Upon approval of the MetSoc Board, the Student Chapter will be issued and a start-up allowance cheque in the amount of $200 Cdn. The chapter must obtain a University bank account where the money will be forwarded to the faculty advisor to deposit there on the Chapter’s behalf. In motioning to appoint a faculty advisor, students wishing to form a Chapter must nominate a faculty member for this position. Any faculty member to be considered for nomination must be a member of CIM, and teaching at the institution where the Chapter is to be established. Faculty members should be given the opportunity to accept or to decline the nomination. Serve as the official liaison between the Chapter, the institution and the administrator, at the CIM National Office. Advise the Chapter on the implementation of its programs and the pursuit of its objectives. Attend as many of the Chapter’s meetings as possible. Ensure that the Chapter understands the role of CIM as technical / professional organization. Counsel Student Chapter members in matters regarding CIM policies, and on how to best take advantage of the services and funding available. CIM is a professional and technical society. The faculty advisor is one of the few constant elements in the rapid turnover of students within each Chapter. The Chapter’s projects are more successful when the Advisor’s experienced judgement and aid are readily available. Thus, the faculty advisor can emerge as perhaps the student’s most influential teacher and engineer in a critical period of education and growth. One benefit of being the Student Chapter faculty advisor is the award of an annual honorarium. This consists of free CIM membership dues for the duration of an individual’s tenure as faculty advisor. To receive complimentary membership, the faculty advisor’s Chapter must submit an Annual Report to the Student Chapter adminstrator. Having submitted the Annual Report, the faculty advisor is to write “Faculty Advisor” across his/her membership dues notice, and return it to CIM. 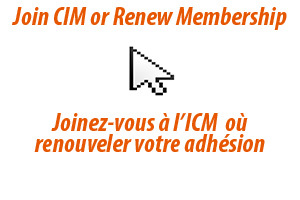 CIM membership is paid by MetSoc upon receipt of the Chapter’s Annual Report by June 1st of that year. This honorarium is one way that CIM thanks their faculty advisors for assisting student members.